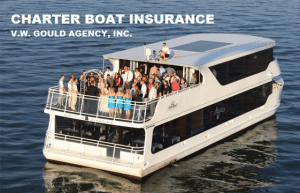 The state of Florida places certain insurance requirements on the charter boat industry. That being said, the representatives at Gould are ready to assist you in attaining these limits so that you may safely operate. We can assess your business and provide advice on coverage that is unique and custom tailored for your charter boat business needs. Also be sure to see our boat insurance services for advice on insuring your personal watercrafts.